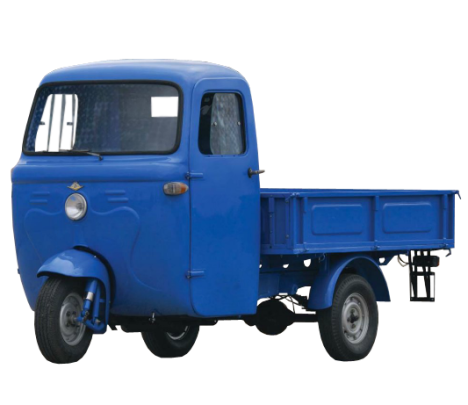 For more robust commercial needs, MV released the 235CC Trasporto Tevere 1n 1959. Like his little brother, the Centauro it employed a conventional layout, with the operator sitting out elements in the front, and a sizable bed behind. Acces to the 4-stroke, single cilinder, 10 HP engine was straight forward - simply lift the hinged seat. The Tevere’s load capacity was upgraded from the “Centauro” as well; teh Tevere could handle 520kg. While the front suspension was pretty much standard MV motorcycle - meaning a fork design with hydraulic shocks. The rear suspension was a live axle and a pair of longitudinal leaf springs. Due to the engine’s enclosed design, a fan forcing air over the engine handled cooling. The price for all aof this cargo carrying was 470.000 Lire. Vehicles like this are still in use in Italy today.